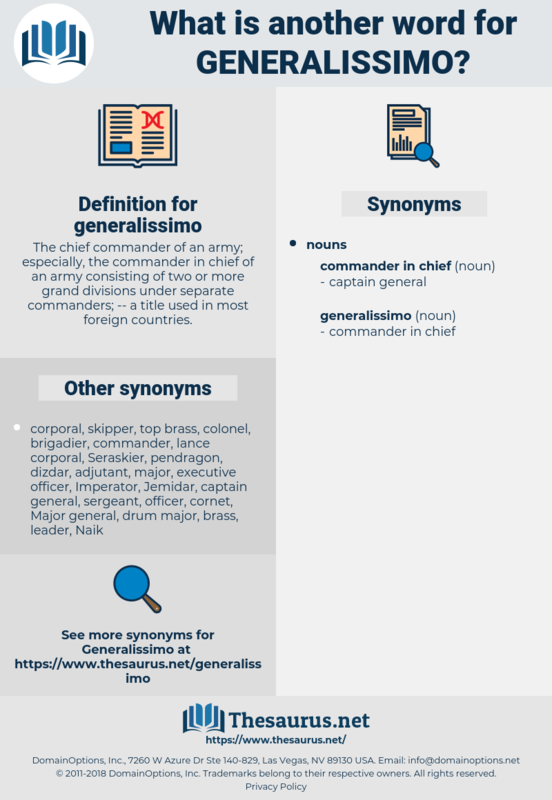 What is another word for generalissimo? 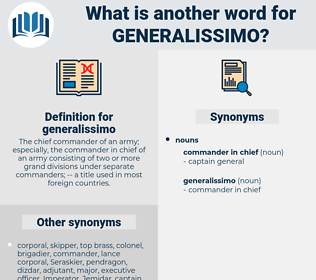 The chief commander of an army; especially, the commander in chief of an army consisting of two or more grand divisions under separate commanders; -- a title used in most foreign countries. Still, they scamper after their generalissimo in the end, and meanwhile he is much too dignified to look back. Like an army it is officered with its generalissimo, its under generals, its colonels, its captains, its lieutenants, its sergeants and its corporals.